Made of 100% neoprene, these headcovers are thick, soft and stretchy, making them the ideal headcovers! They will keep your fairway woods safe from impacts and scrapes, eliminate their clanking and are as easy to put on and take off as a sock. 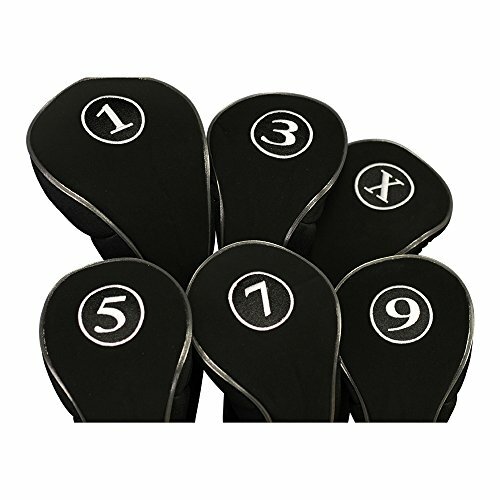 Each headcover uses thick neoprene foam for maximum protection and has a large, easy-to-read number embroidered on the top for quick identification. Designed to be stretchy and made with a long zipper down the front, these will fit most drivers and fairway woods comfortably! Don't go another day without these headcovers protecting your woods! If you have any questions about this product by PGC, contact us by completing and submitting the form below. If you are looking for a specif part number, please include it with your message.